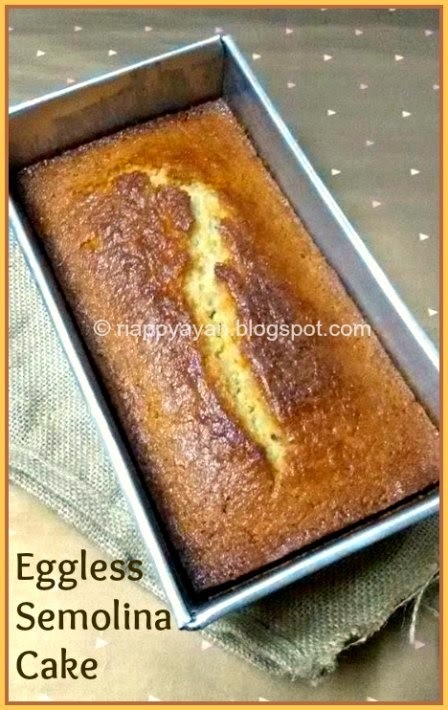 This simply moist and soft looking cake is not like any other cake, it has no eggs or flour, so it is a healthier option than any regular cakes. 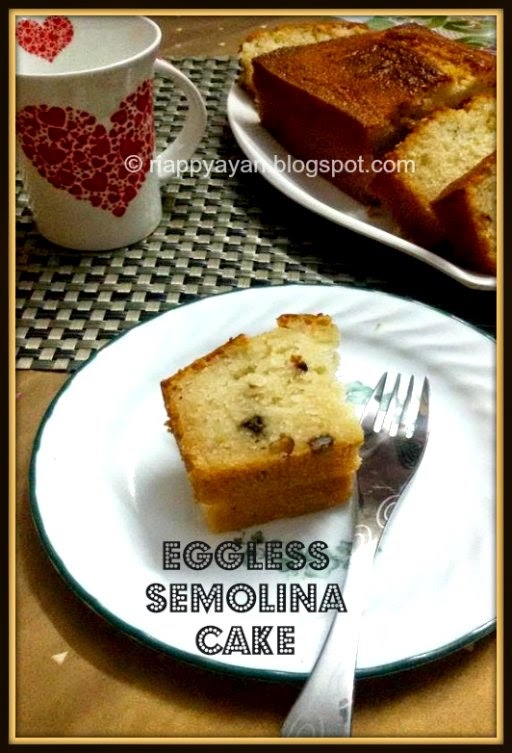 The main ingredient of this cake is semolina or suji, which is a by-product of wheat. It's quick and very easy to make, need no elaborate preparation. I tried this for first time and became fan of it. Surprisingly, one of my kid who is a very choosy cake eater, he loved it so much and asking me every day to make it again. It can be a very healthy add-on in your kid's lunch box or as a after school snack. Baking Soda : 1 tblsp. Vanilla essence : 1 tblsp. In a bowl, take sugar and yogurt. Stir to mix them so that sugar dissolves fully. Then add suji/semonlina, coconut, oil and all the other ingredients one at a time and mix properly. Do not overmix. Then set aside the bowl for at least an hour so that semolina can soak up all the moisture before baking. Pre-heat your oven to 180C. Grease your baking pan with butter or oil and then pour the semolina mixture into the pan. Bake for 35-40 minutes or until a wooden skewer inserted in the center of the cake comes out clean. Let it cool completely before you slice it. 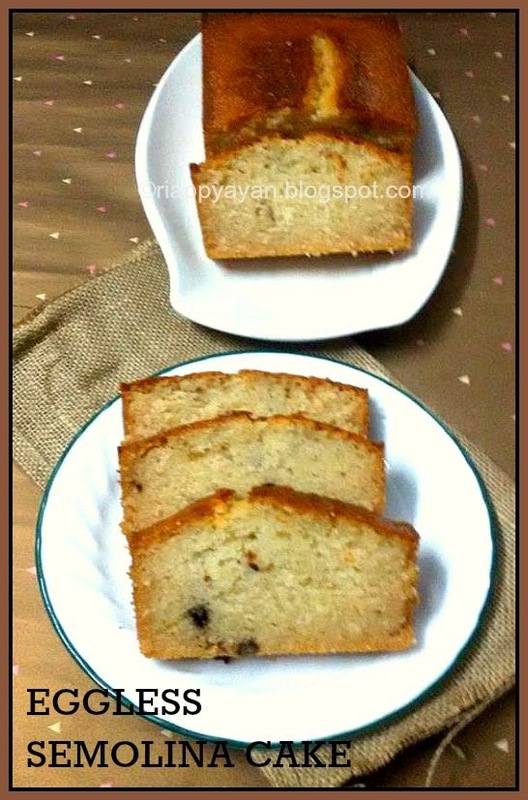 Can be a great accompaniment with evening tea/coffee. What we can use instead of curd? My son is dairy allergic? Receipe looks amazing...is baking soda 1 table spoon? Shaili, you can use little less than 1 tblsp.